The seminar promotes the development of maglev trains and advanced rail transit tech to boost quality of life. 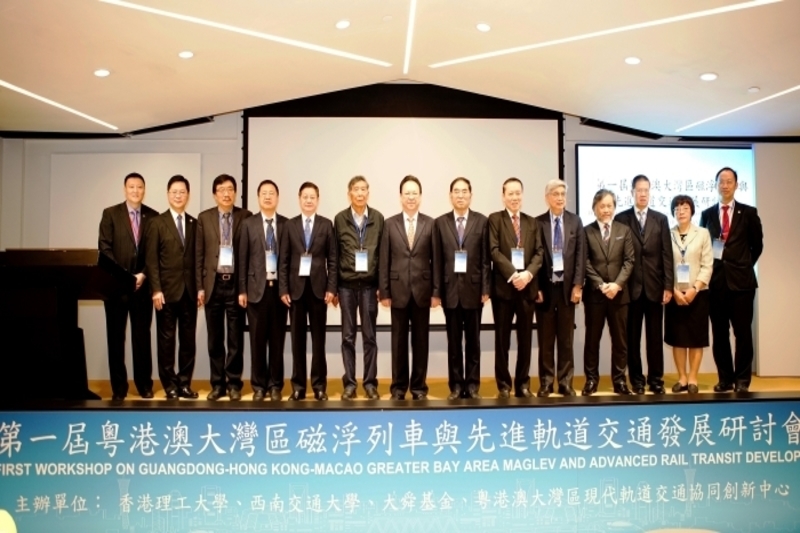 According to a recent press release, the Hong Kong Polytechnic University (PolyU), the Southwest Jiaotong University and two other agencies held the “First Guangdong-Hong Kong-Macau Owan Area Maglev Train and Advanced Rail Transit Development Seminar”. Nearly 100 experts and scholars of rail transit from the Mainland and Hong Kong attended the seminar on the development of urban rail transit on the magnetic floating traffic strategy. Several high-ranking officials from the HKSAR government as well as members from corporate and research agencies, who served as the officiating guests. The Deputy Director of the Liaison Office of the Central People’s Government stated that transit technologies have been rapidly upgraded as a result of the rapid development of China’s scientific and technological level, magnetic levitation technology, high-speed railway technology, and another advanced rail tech. This means that railway tech is being more widely applied in the construction of a safer, more convenient, greener, low-carbon transportation system. This is bringing infinite possibilities and broad prospects while also helping to develop the Guangdong, Hong Kong and Macau Bay Area. The Vice President of PolyU (Research Development) stated that the opening of the Hong Kong section of the Guangzhou-Shenzhen-Hong Kong high-speed railway has improved the rapid passenger transport network in Dawan District and promoted economic, social and cultural exchanges and development in the region. The seminar aims to promote the development of maglev trains and advanced rail transit technology, allowing for the construction of an integrated rail transit system that is interconnected, fast and convenient. In addition, the seminar also promoted continuous and in-depth discussions and research on traffic development by experts, scholars and stakeholders from different regions, to help make life easier for citizens. At the seminar, one academician pointed out that the development of rail transit is the condition for building a modern economic system. Transportation is the weapon of the country, the cornerstone of the founding of the country, and the leader of the powerful country. It is a prerequisite for increasing the quality of peoples’ lives. The rapid development of track technology and the development of China’s high-speed rail is more advanced in the world, with the world’s largest operating scale and the largest and complete industrial supply chain. As for some key technologies of rail transit, such as bridge and tunnel construction, traction power supply system, high-speed EMU, and train control system, China has reached the leading stage. With the development of the emerging industry of maglev transportation strategies, China’s advanced rail transit will be further accelerated. And this is expected to now be replicated in Hong Kong. Many experts on magnetic floating traffic technology and railway trains discussed the latest developments of magnetic levitation technology, high-speed railway technology and other advanced rail transit technologies, as well as the application prospects of these technologies in the Dawan District of Guangdong, Hong Kong and Macau. Experts have noted that PolyU is an ideal candidate to be the centre of this development seeing as it possesses a strong cross-departmental research team and some of the world’s best facilities. The university’s teams have worked with other educational institutes to study the application of advanced sensing technology in high-speed railway, making it a pioneer in the field of intelligent railway monitoring tech. In 2015, PolyU established the Hong Kong Sub-center of the National Rail Transit Electrification and Automation Engineering Technology Research Center – the only national engineering technology research centre in Hong Kong dedicated to the research and application of rail transit operation safety technology. The sub-centre has carried out a number of cross-disciplinary research projects and has conducted extensive and in-depth academic exchanges with world-leading experts and scholars on the safety and reliability of high-speed rail and maglev train operations, providing technical support and services to railway enterprises. In 2018, PolyU and Shenzhen University established the “Guangdong-Hong Kong-Macau-Dawan District Modern Rail Transit Collaborative Innovation Center” in conjunction with more than ten other outstanding universities and railway companies at home and abroad to promote the Dawan District Rail Transit Cooperation Research Mechanism.